A decor budget sounds like a limit, but it actually means a good plan. A budget reads like something complicated. It sounds like a huge process in which you make a list of what you need, then send it to the purchasing office of a provider for calculating prices, a quotation is formulated, and finally it gets back to you to tell you that you can actually only buy half of what you want. Although a decor budget works similarly, it is really not a way to prevent you from buying everything you want, but a guide to make you want everything you buy. Basing your decoration on a budget is an activity that very few people honestly do, but we should start practising more. Having a budget will help, almost force, you to make more thoughtful decisions, and often better, in addition to doing so it will mean a relief for your pocket and you can avoid buying things that end up stored in its case for centuries. But fear not, this does not mean you have to buy less, or that your designs will be weak, however, you can get very well-defined designs and incredible spaces using some tricks that we will give below. You can have rooms with the decor you always wanted, without sacrificing the welfare of your pocket. Take note! The difference between want and need is a fine line that sometimes shifts to convince us that we need everything. To achieve the definition that you really need, it is first necessary to analyse what we have in order to discover what we need or on what we can improve. Remember that we don't always need what we want. So before starting to buy decorative objects, begin by displaying the improvements you could make to your rooms considering not only beauty, but also functionality. For example, you might want to give a new look to your reception room. How about a garden under the stairs? It's cheaper than you think! 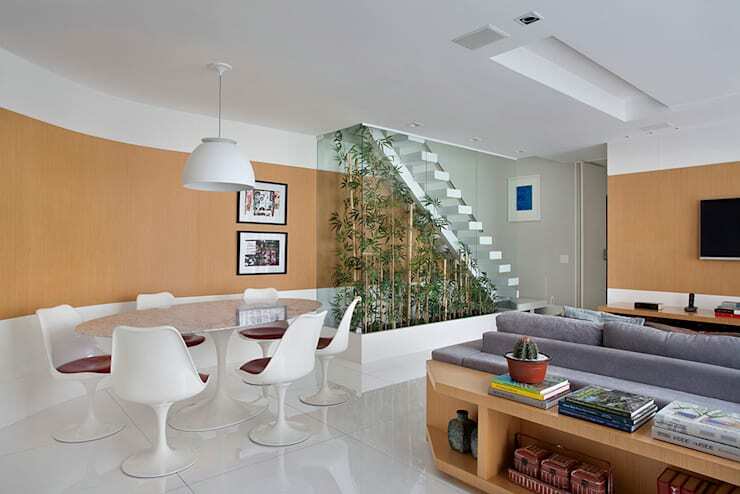 Looking for more ideas on how to transform the space under your stairs like in this image? Take a look at this: Creative Ideas For The Space Under Your Stairs. Surely you have a designated room in your home to store everything you do not use, but treasured items that has great meaning, to the extent that you've spent years trying to find that meaning. Well, before venturing out to visit the big stores, you should give yourself time to look into that cellar, which can be in the basement, attic or the back room, and rescue furniture and items saved for years to transform them into something great. Remember that vintage is back, and those old designs used in décor are enviable. If you cannot find anything useful, then you could also visit the bazaars and flea markets. You can find wonderful designs at incredible prices! Have you noticed how a person can be completely transformed with only a change of clothes and a little make-up? With furniture, things work the same. Perhaps what you need is not to buy new furniture, but repair antique furniture. Sometimes you just need some sandpaper, paint and a brush to convert that dusty box into a fantastic frame that will serve to decorate your hall. Maybe just change the wallpaper in the living room, or spruce up the sofa. Search what you want to change and do it! 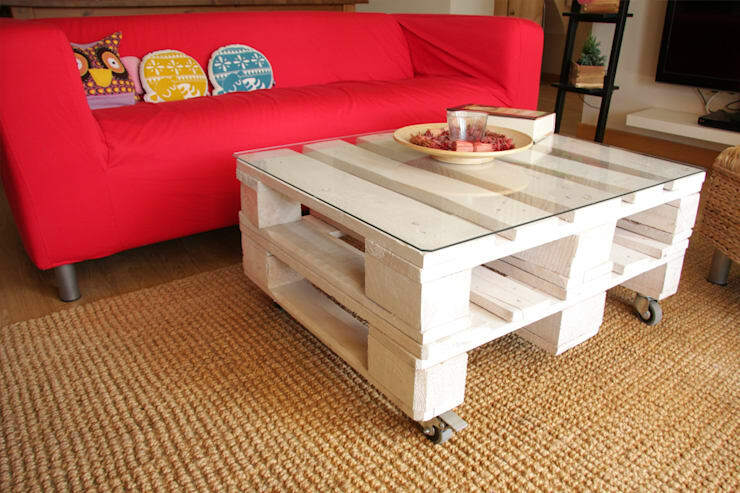 DIY (Do It Yourself) furniture has become the new designer furniture. The ecological trend and recycling-focused option remains a favourite for this year and can help you build beautiful furniture. You don't need to go to great effort, all you need is imagination. For example, you can transform an old suitcase into a fabulous chair, simply by adding some mattresses and cushions, or building your own table for the room, if you have more advanced skills. You'll be the envy of your guests for your originality! Two is always better than one, and the décor is no exception to the rule. In this image we see a multifunctional cabinet by Studio Michael Hilgers. At first glance it seems like a simple shelf where you can store books and other objects, but hidden in the structure, we find a practical desk,—all in all a practical piece of furniture that also serves to separate space in an open-plan apartment. Tables are one of the most multifunctional pieces of furniture, and if you have a small space, you could take advantage of these features to better exploit every centimetre as you decorate and furnish. Don't you think it's great what you can do with so little? Redecorating, or decorating your house does not mean you should spend a lot of money on expensive sculptures, vases and works of art. Rather, it comes down to spending your imagination, investing in creativity and betting on your own style. Often the simplest changes are the best. 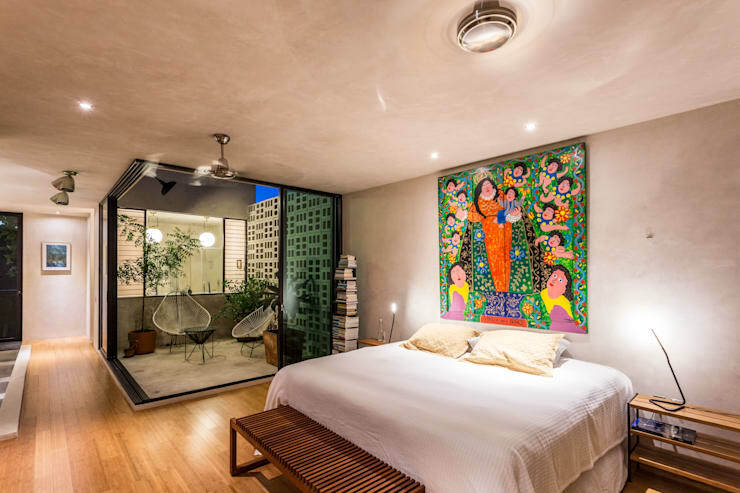 You can give a completely different meaning to a room by simply painting a wall, placing photos, or applying wallpaper. The best thing about these decorations is that they are inexpensive, and that it can be changed easily. 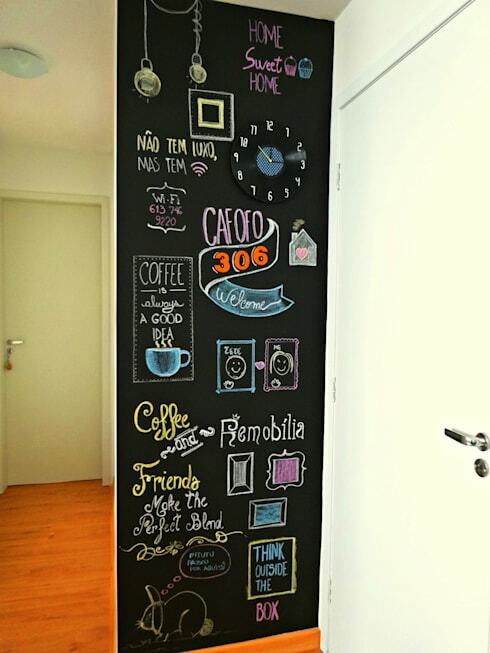 An excellent idea to decorate your home without spending too much, is by adding a black board. You can use it to jot down important things to surprise whoever lives with you, or let your children express their imagination. You can also change it according to your mood. This fabulous design for the kitchen is by Camila Feriato.